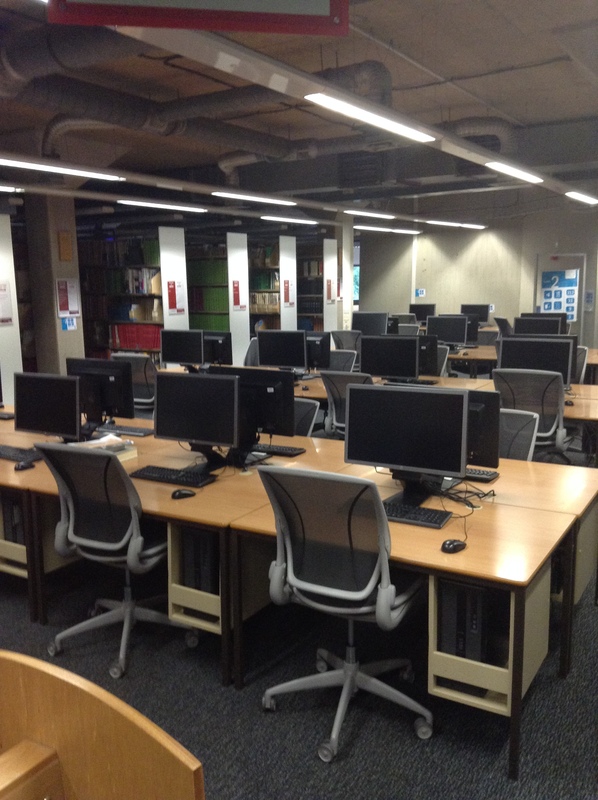 On Monday 25th June and Tuesday 26th June work begins on replacing the workstation desks on Levels 1 & 2. This will necessitate the temporary removal of all of the PC workstations from these floors, including the Catalogue and Short Stay PCs. All of these machines will placed into storage in Group Study Rooms 1A and 2A, which will mean that these rooms will be unavailable for booking while this work is carried out. Week beginning Monday 2nd July the old desks will be removed from Levels 1 & 2 for removal by University Facilities Management – this may involve some noise and disruption, and the lift may be unavailable to visitors while the desks are being moved. The new furniture should be delivered during the following week – again, this will involve some noise and disruption. Once this is completed, IT Services will remove the PCs from storage and begin setting them up on the new desks. Access to the shelving and other facilities on Levels 1 & 2 will remain unaffected, however there will be no PC workstations available to use on either floor while this work is completed. Workstations are still available on Levels 3 & 4, and staff are available to assist with catalogue searching at our Enquiry Desks. This entry was posted in Building Work, Catalogue, IT, Library, Service Announcements, Study spaces by Steven Lake. Bookmark the permalink.